The Blackout is a double muff. Not one into the other, but mixed parallel. Each has its own separate FUZZ, TONE and OUTput controls. 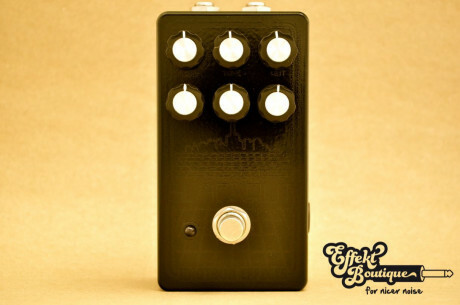 The top fuzz circuit has the traditional muff tone control where the bottom one has more of a mid boost/scoop control. 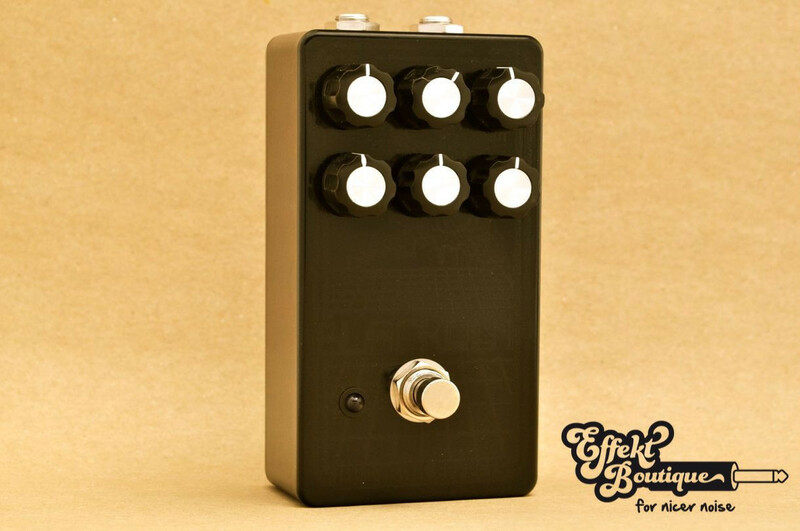 This thing is a sonic beast and capable of getting a much wider range of sounds than a traditional or modified single muff. Sounds massive on bass and killer on guitar and has a rad black on black color scheme.